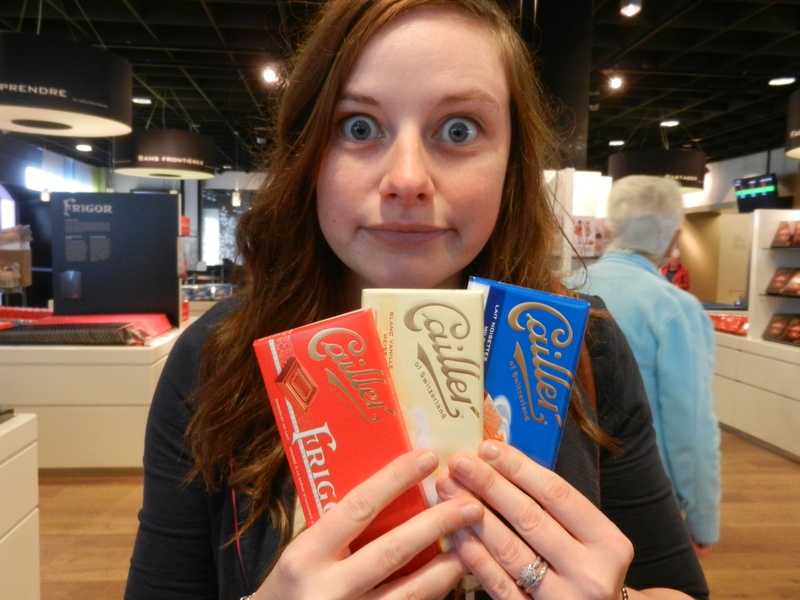 I’ve always liked Chocolate but didn’t realise how much until Switzerland. That’s like the mothership of chocolate. I think I managed to keep the level of chocolate coming back to a minimum of three bars for myself though I ate enough whilst I was there to tide me over for a few months. Just have to get ‘the best man’ to keep sending me some over. 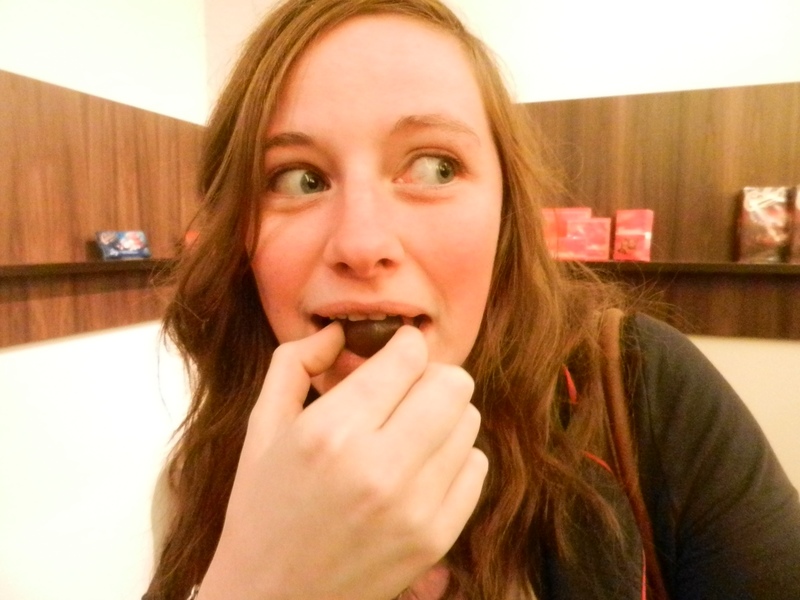 Chocolate smile day came from the day we visited the chocolate factory in Broc. So for those of you who have been to the Cadburys factory I can’t tell you if this is similar or not having never been. Though I figured this one would be more adult orientated due to the kind of chocolate they make. So on arrival after travelling down the winding road into what looked like a mass of fields we came upon the factory. 10CHF later (that’s like £6!!!) we were in the queue waiting for our history of chocolate tour. 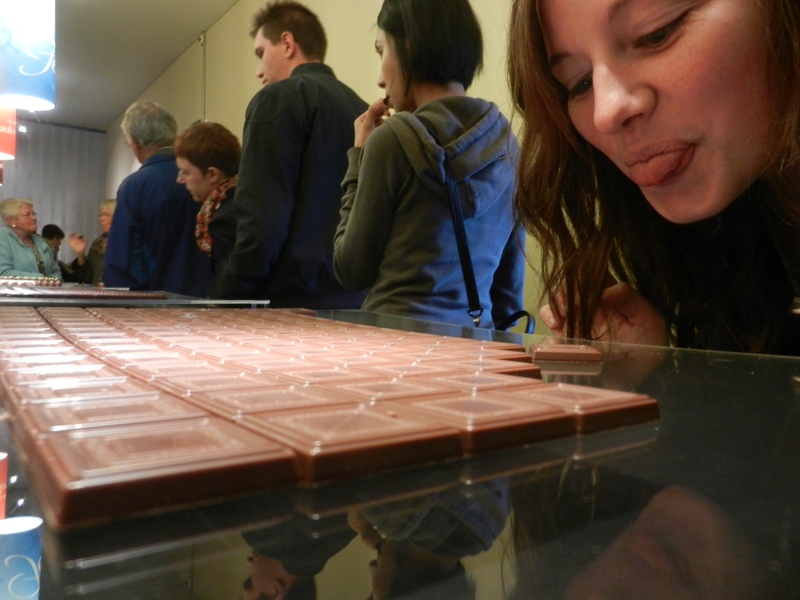 Moving figures and sliding doors guided us through the various years of chocolate making. 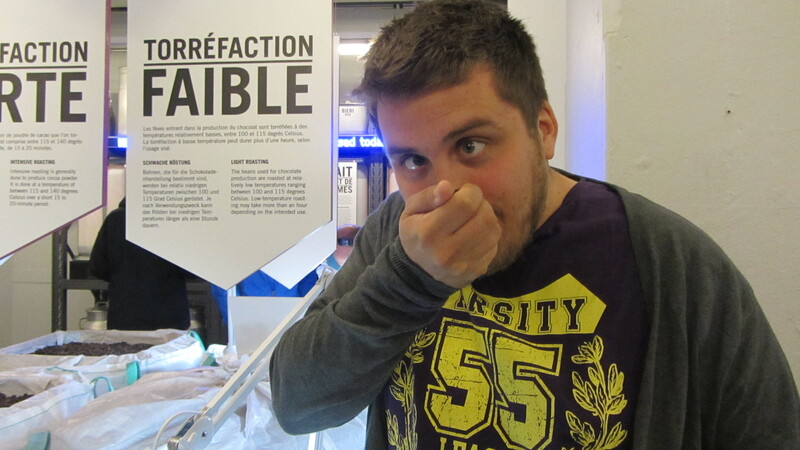 Only about 10 minutes long so never started to get boring we moved onto the production methods. This may be boring for anyone that has worked in a factory but I’m a total geek for stuff like this and was fascinated. The best part was where there was a computer that recognised if the chocolates on the production belt were not as they should be so this little sucker machine that was taking all the good ones off would just leave these little guys that were the misshapes ones. I kinda felt sorry for them not getting to fulfil their chocolate destiny. Anywho what did make me feel better was the chcolate that was getting made and wrapped was dropped onto a tray at the end to ‘sample’ or put a handful in your handbag. You know, whichever takes your fancy. feeling sick. it was set up on a U shaped table with pieces of each chocoalate range on platters as you made your way round. I was up for the challenge. Starting off with just a plain chocolate we moved onto noisette, white, truffle, dark chocolate finishing up on the ‘Ambassader’ range which of course we couldn’t just have one of as these were like a selection box of various truffle style chocolates. The boys seemed to get a little impatient and made their way to the shop before sampling them all but I was testing them all so managed to grab a handful of the ‘Ambassaders’ and hid them in my bag for later. Leaving the factory after buying three buys of the lovely chocolate I wasstill munching my free samples. I’m all about getting my monies worth. This entry was tagged callier, chocolate, smile, switzerland. Bookmark the permalink.